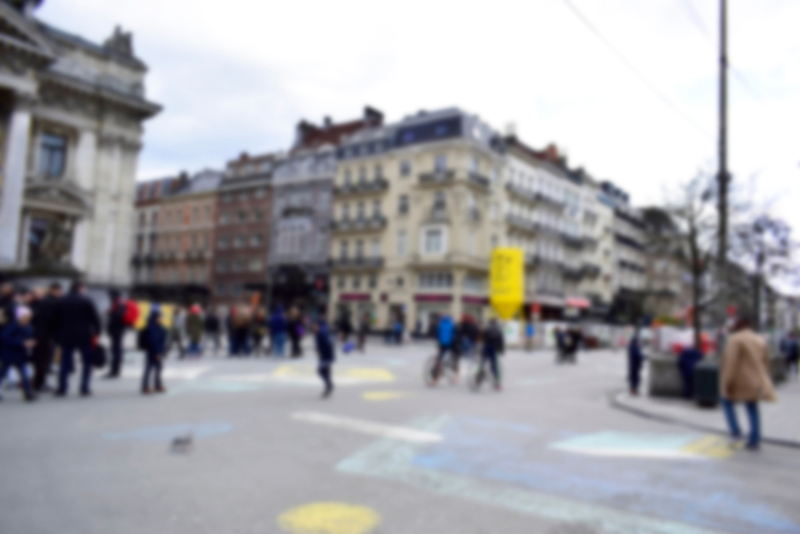 The Brussels capital region is free of cars – well, it was for one day at least... The city took the opportunity of EUROPEANMOBILITYWEEK to have its car-free Sunday on 16 September 2018 and closed the entire Brussels region to individual motorised transport between with 9.30 am to 7.00 pm. There were exceptions, but only for taxis, buses, police, emergency vehicles and persons with a special permit – and these still had to respect a city-wide speed limit of 30 km/h. While one of the main aims of the car-free day is to demonstrate to residents and visitors the quality of space a city holds when the largest part is not dedicated to cars and lorries, there was one other striking effect: measured values of black carbon decreased dramatically during the time of the “car ban”. There was a decrease of 80 %, which was more or less constant over the entire time that the ban was effective. 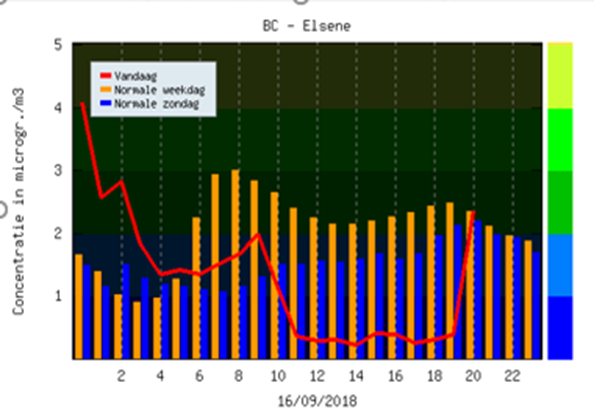 The blue columns in the first figure below show black carbon concentrations on a typical Sunday, while the red line indicates the values for the car-free day. Before and after the ban, the black carbon levels were about the same as on a typical Sunday. There was a similar, but less significant effect on nitrogen dioxide (NO2) levels: concentration levels decreased by 30%. The second figure below illustrates typical and car-free day levels of NO2 and should be read in the same way as the figure for black carbon. 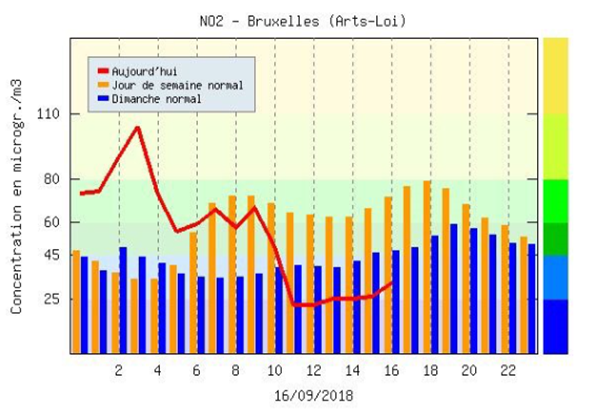 This effect of taking motorised traffic out of a city highlights one of the other values of car-free days: to reduce air pollution effectively at least for the time that the ban is in operation. As a result of the Brussels experience, politicians were called on to introduce more car-free days. Story first published by European Cyclists’ Federation (ECF) on 17th of September 2018.